In 1956 during the first wave of Elvis’ popularity—after “Hound Dog,” “Don’t Be Cruel,” “I Want You, I Need You, I Love You,” and “Love Me Tender” were number one on the Hit Parade–a Jewish girl from Philadelphia pushed Elvis down the list. Sixty years later the songs timeless beauty endures. It is one of the best, most tightly told and evocative “story-songs” of all time. Ms Grant’ spot on performance of her classic at age 80 (above) is a remarkable achievement. In recent years I have seriously considered the contrast between ‘the wayward wind’ of the song and the “’wind’ (spirit)’ of God” that hovered over the waters (Genesis 1:2) at the beginning of the Torah’s creation story. By contrast the wind of God that hovered over the primordial waters presages the story’s vital lesson that God does not want the wind or spirit within us to be random. The whole point of the creation story is that life is not an accident and that we should live with purpose and meaning. Everything in the story is created in an orderly fashion and with great purpose. The message is our lives should have purpose and direction. 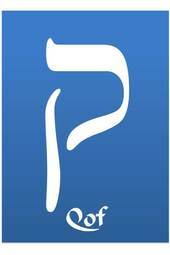 Only we human beings (Genesis 1:26) are created B’tzelem Elohim, in the image of God. That means of all creatures on earth we have the most power. As intelligent as our pets or the chimpanzees or the dolphins are, they are not going to perform life-saving brain surgery. They are also not going to build bombs or bullets whose only purpose is to kill or to maim. Indeed the overarching message of the creation story is that God wants us to use the awesome power we each possess to positive purpose and for each of us to contribute in some small way to the creation of a more just, caring and compassionate society. But God doesn’t make us do that. We have a choice. We can allow the wayward wind to swirl us around aimlessly through life or we can find the “wind of God” deep within our souls and make our lives a blessing to those with whom we interact. After Riding the top of the charts and starring as the voice of Helen Morgan in the 1957 movie biography of the 1920”s singer, she made 15 LP albums. She also weathered the stormy winds of two failed marriages. In 1967, when her son Joshua (actor Joshua Beckett) was an infant, Ms Grant stepped away from the performing world for 20 years to focus on raising her children. When she launched her comeback, the critical verdict was that she had not lost a beat. Gogi Grant died last month at age 91. She harnessed the wayward wind that beckons to all of us and lived a life of purpose and meaning, a life that enriched her loved ones and enriched her many fans.. May her memory endure as a blessing! Because I am so deeply moved by the outpouring of prayers and good wishes on my recent cataract surgery, I want to repost an essay that I originally published in The Jerusalem Post on March 3, 2013. While I had neither hoped for nor wanted such publicity surrounding my surgery, the headline symbolizes the difference between the surgery I underwent at Vanderbilt University Medical Center in Nashville back then and the more complex open-heart surgery I underwent at the Cleveland Clinic on November 29, 2012. In Nashville, because I was known in the community, my surgery to replace a congenitally defective aortic valve attracted more attention, advice, visits and support than I could ever imagine. My Connecticut cardiologist encouraged me to have my much more complex 2012 procedure done in a major heart center where they do lots of these unusual procedures.” With his encouragement, we settled on the Cleveland Clinic. The surgeon, Dr. Lars Svensson, is world-renowned, and the medical, nursing and technical care were all superb! The problem was that except for one incredibly wonderful and supportive family with whom we are very close and a couple of very gracious and concerned rabbis, we knew no one in Cleveland. The love and care I continue to receive from my wife Vickie is priceless, and my three adult children all interrupted their very busy lives to fly in for the surgery from both coasts. But after a few precious days, my children – as they should have – flew back to their spouse, children and professional responsibilities. Into the breach in a surprisingly meaningful way entered FACEBOOK. When I travelled the world for an 18-month period as President of the World Union for Progressive Judaism – making 65 visits on five continents and living both in Israel and in New York City – I checked in on FACEBOOK only occasionally and posted even less frequently. Since my surgery, I have been a frequent contributor. Clicking LIKE matters and encouraging comments matter even more!